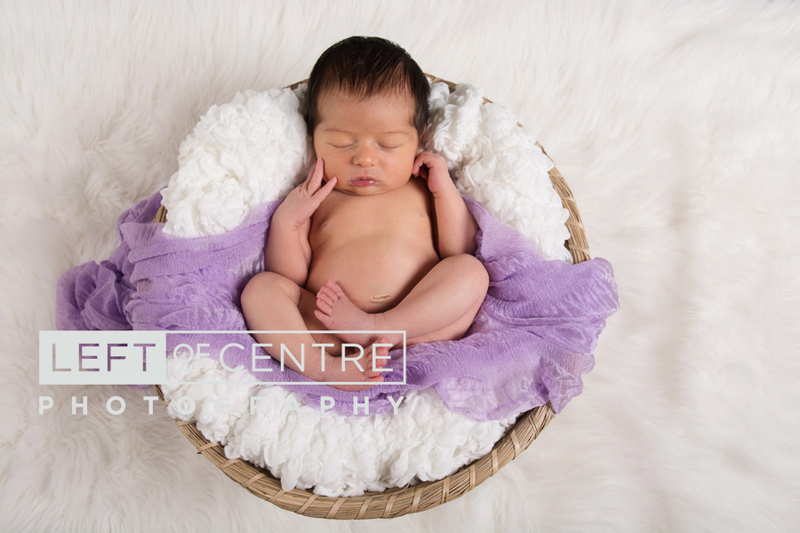 More times than not I do my newborn sessions in my home studio, as I am unable to bring all of my goodies and props and it is positively impossible to transport my huge beanbag baby poser. Sometimes people want to use a specific room in their home, or they aren’t as mobile or comfortable after a c-section. I’m always willing to do what makes my clients happy, newborn sessions are as personal and individual as the new baby is. I am often asked if doing newborn sessions is better in home or in my studio, and there really is no right answer to this, it simply depends on what look is desired. In studio there is more room for different poses and props to be used. I usually have several setups prepared before my clients arrive, and I take a long time getting each look just right, usually dedicating more than an hour to set up. In a clients home things work somewhat differently, I like to show up a little early and start setting up while baby is being fed. I start off by scouting out the home, looking to see which room(s) I will use, checking available light and deciding where to set up studio lights if there isn’t a sufficient amount of natural light available. Well in advance, before the session takes place, I discuss with my clients if they have a certain look or feel in mind. Sometimes I am sent pictures of what people like, and sometimes I am told to create whatever artistic look I decide on. Some people love props, others prefer minimal to none. Some people love natural colours, such as browns and beige, others select more vibrant and gender specific colours. The beauty of it all is that you have the freedom to decide or leave it up to me. Once this is determined everything goes smoothly and everyone is happy! 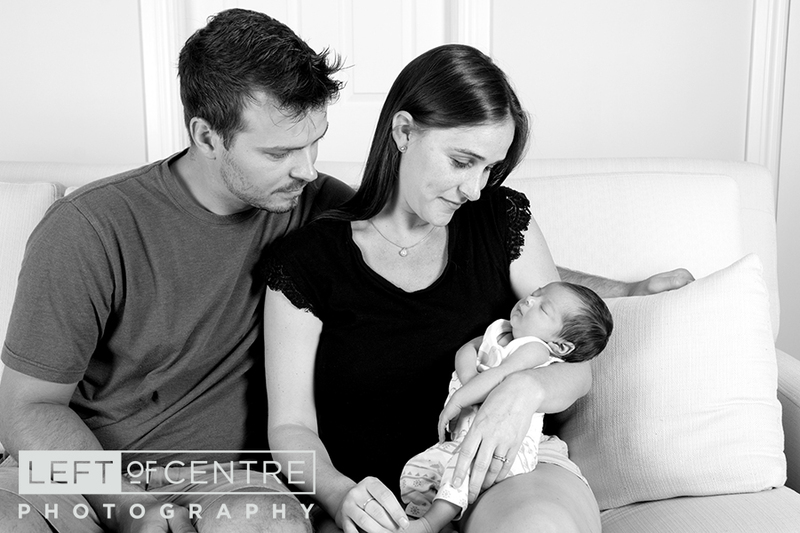 I was really excited when I was asked to do this newborn session at Lauren and Andrew's beautiful home. With this session Kate’s parents wanted to capture her; just as she is. I think we definitely achieved that. 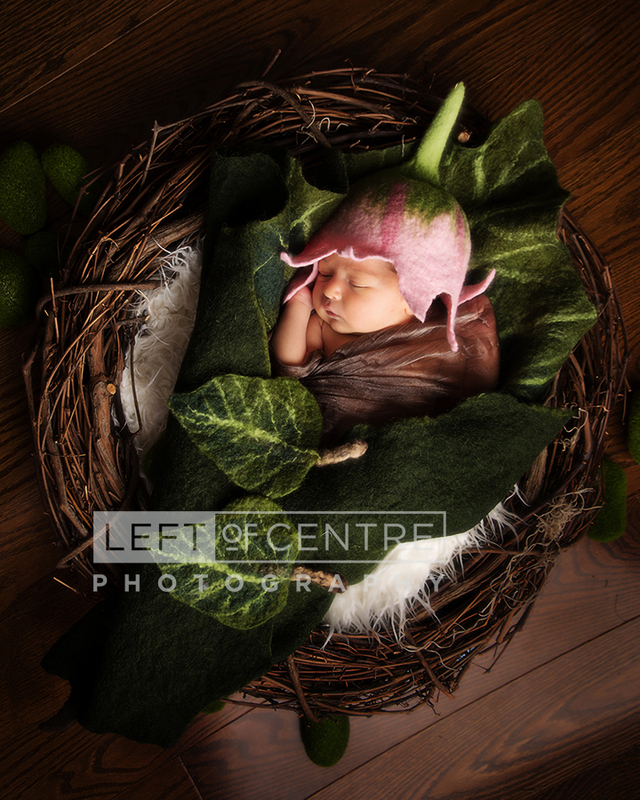 I didn’t use too many headbands or props… ok, maybe I got a little carried away at the end with my flower in nest look, but Kate was just so picture perfect I couldn’t help myself. 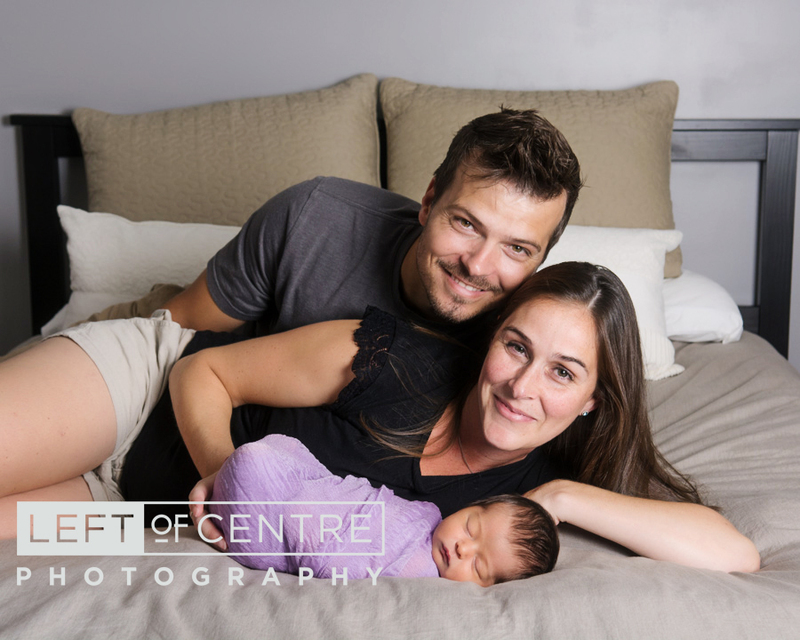 I loved photographing this family in their home, they were so laid back, and I even had the chance to rock little Kate to sleep in my arms. What a wonderful session, I hope you enjoy looking at the pictures just as much as I did creating them!